Sharon Bidwell was born in London on New Year’s Eve. She has been writing professionally for many years, with her first short story receiving praise for being “strong on characterisation, and quite literary, in terms of style”.Her work has appeared steadily in both print and electronic publications, such as Midnight Street, Aoife’s Kiss, Night To Dawn, and Radgepacket. She has written several romance novels under the name Sharon Maria Bidwell, including Snow Angel and A Not So Hollow Heart, as well as dark fiction under the name Sharon Kernow. She was propelled into the universe of Steampunk as one of the writers for Space: 1899 & Beyond, winning the approval of series creator and award-winning game designer, Frank Chadwick. 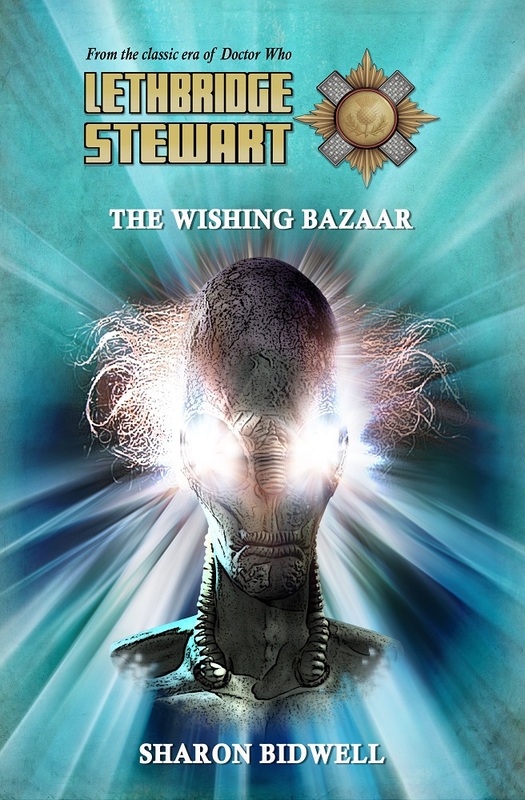 She wrote three books in the series, one of which was co-authored with editor (and writer) Andy Frankham-Allen.The Wishing Bazaar is her first piece of Doctor Who related fiction. Blood of Atlantis – Pre-order Now!! 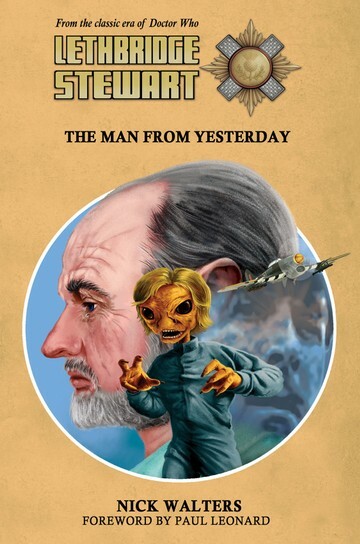 Candy Jar Books is pleased to announce the latest Lethbridge-Stewart novel, coming November 2016! 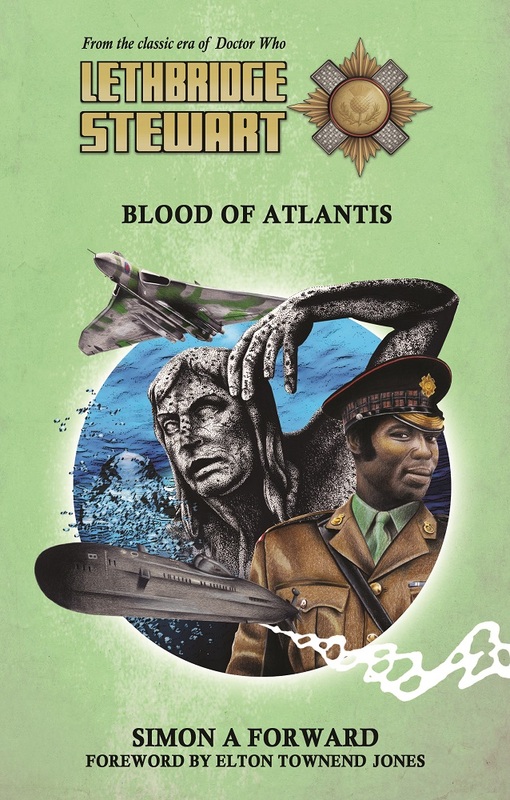 Blood of Atlantis is the ninth novel in the Lethbridge-Stewart series, which began February 2015, and sees the return of author Simon A Forward to the Doctor Who fictional-verse. 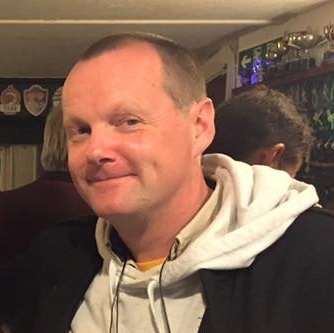 Simon was born in Penzance in 1967, and has, over the years, written a couple of Doctor Who novels for BBC Books, a novella for Telos Publishing, an audio drama or two for Big Finish, plus various short stories. Outside of Doctor Who he written three novelisations of the BBC’s popular Merlin series, and had created his own series of novels, Evil Unlimited. The book also revolves around the mystery of Atlantis. An theme that is no stranger to Doctor Who fiction, having appeared in two separate Doctor Who television adventures (The Underwater Menace and The Time Monster) and having been mentioned in another (The Daemons). Blurb: Could Atlantis really have arisen in the Aegean Sea? Lethbridge-Stewart’s nephew, Owain Vine, and a group of eco-protestor friends, are attempting to oppose an operation undertaken by Rolph Vorster, a ruthless South African mining magnate with his own private army, who is out to harvest as much Atlantean riches as he can. Lethbridge-Stewart, along with Anne Travers, is called in to investigate a missing Russian submarine that appears to be connected to Atlantis, recruiting the colourful eccentric archaeologist, Sonia Montilla, along the way. All the while, Captain Bugayev and an undercover Spetsnaz team are investigating the fate of their government’s missing submarine. A complication that could light a major fuse on the Cold War. Out there somewhere, Atlantis is growing, and its reach is utterly inimical to human life. Blood of Atlantis can be pre-ordered individually, or as part of the Series 3 Bundle (both UK and overseas), which includes the novels, Times Squared by Rick Cross (available now), and Mind of Stone by Iain McLaughlin (coming December), or the subscription deal for those wishing to get six books for the price of five (UK only, covering the series three titles, plus the series four titles released early 2017)! Pre-order directly from http://www.candy-jar.co.uk; Blood of Atlantis is due for release at the end of November. 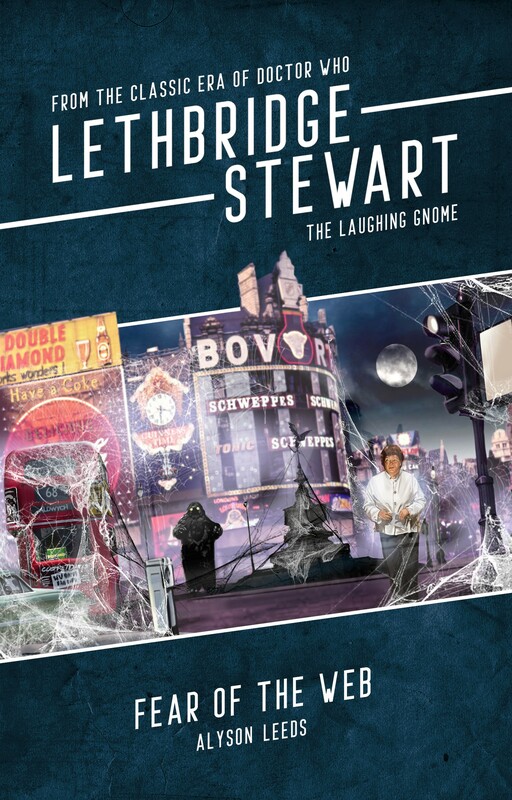 As Al Pacino says in The Godfather Part III, ‘Just when I thought I was out, they pull me back in.’ When I was asked to write for the Lethbridge-Stewart range, I was a little hesitant. I wasn’t sure I wanted to return to writing anything Doctor Who-related. I’d moved on in my writing and – much as this may horrify some – I’d grown a little tired of Doctor Who. Further, I wondered what more I could offer such an established character whose enduring popularity was so rooted in Nicholas Courtney’s excellent performance. But, by curious coincidence, I was asked by someone else at around the same time to write something else for Who and there’s simply no denying some forces. So I agreed to do it. It was originally quite a different proposition to the finished book that has since emerged, but that process of development and working with range editor, Andy Frankham-Allen, was part of the appeal that drew me in and cemented my commitment to the project. Add to that the fact that my (still ongoing) rewatch of Doctor Who took me through The Web of Fear and The Invasion while I was right in the heart of writing this early Brigadier adventure and the whole thing seemed like providence. And here I was, with the opportunity to write Anne Travers too. Bonus! Ultimately, characters make the story, and this evolved into something whereby I could combine three approaches to character: writing for a well-known favourite, the Brigadier, and doing him justice; writing for existing characters, who were part of the range, hitherto unknown to me and doing my best to be true to them; and creating my own characters, which is one of my favourite things to do. Well, I say creating, but one of the characters, Bugayev, is already part of the Doctor Who book universe and it was a fascinating process to explore and contrast the two different approaches and attitudes of two military officers, especially two I knew so well – one courtesy of having grown up with him as such a presence in my Saturday teatime viewing, one through having created him for my Doctor Who novel, Emotional Chemistry. (Although that, again, isn’t strictly true, since he was created for an unpublished Doctor Who novel called Equilibrium.) My main made-for-this-story character contribution then is Sophia Montilla, crazy cat-lady archaeologist, who was inspired by a lady I met while feeding stray cats in Rhodes. She wasn’t an archaeologist and she was Greek, but Sophia was one of those characters who springs to mind fully formed. So I knew she was Spanish and I knew a great many other things about her that aren’t in the book. Some of my favourite scenes to write are the ones shared by the Brigadier and these characters of my own invention, where the dialogue flowed so naturally it was like I just happened to be listening in on the conversations. At that point, you’re not so much working as just typing while in the company of friends. Of course, while characters make the story, you still have to hand them a situation to deal with. So why Atlantis? Well, as I say, the story was initially going to be something else and developed over time and discussions with the editor. One of the things I wanted to do was to take HAVOC somewhere international, as a precursor to UNIT (even though UNIT operated in the UK on our TV screens, they ranged much further in my young imagination) and place them on a wider stage. The Atlantean connection suggested itself from a combination of that aim and from an old story idea of mine that fit the bill well. There was also a sense of, if I was going to write something Who-related, wanting that tie-in to Doctor Who, and Atlantis has been as recurring a feature of the show as some returning guest actors. Readers will be sure to spot a liberal sprinkling of homage within the novel and that’s born of the same desire. A salute or several, if you will, to the reason why we have such things as a Lethbridge-Stewart range of books. Something old, something new, something borrowed, something blue has always been a guiding principle of mine when writing anything for Doctor Who. In this, a certain blue box is absent, but hopefully I’ve mixed in enough of a hint of Doctor Who to the recipe. This is the Brigadier’s own series, of course, but much as I kid myself I have moved on, the associations with that singular SF adventure series are always there. It’s the natural order of things and, whether you’re a soldier or an author, there’s no sense in fighting that. Author Andy Frankham-AllenPosted on November 5, 2016 Categories Cover Unveiling, New Titles, NewsTags Atlantis, Bishop, Blood of Atlantis, Doctor Who, Emotional Chemistry, Gary Russell, Samson Ware, Simon A Forward, The Daemons, The Time Monster, The Underwater MenaceLeave a comment on Blood of Atlantis – Pre-order Now! !